That's how many long haul truck driver jobs that will be lost to autonomous trucks over the next 25, according to new analysis from Steve Viscelli, a sociologist who is a fellow at the University of Pennsylvania's Robert A. Fox Leadership Program and a senior fellow at its Kleinman Center for Energy Policy. Viscelli made a name for himself in logistics circles in 2016, when he authored a book titled "The Big Rig: Trucking and the Decline of the American Dream," in which he said it should be no surprise there is a truck driver shortage due to lousy pay and work conditions. Using autonomous vehicles for long-haul cargo runs, the most likely near-term scenario, would however also likely spur increased demand for delivery and local trucking jobs. But, Viscelli's report says, those tend to be lower-paid driver jobs. The loss of some 300,000 jobs is not insignificant, but it seems a relatively small number over 25 years, especially in the face of a driver shortage expected to exceed 100,000 in the US over the next few years. While it will lead to changes in the industry and the make-up of driver jobs, if Viscelli is accurate it would hardly be the driver jobs bloodbath some have suggested is likely. That's how many federally registered drones in there were in the US as of early May, along with more than 90,000 registered drone operators. Those numbers this week after news of 10 successful commercial drone trials have been completed as part of the FAA's UAS Integration Pilot Program and carried out this month by 10 companies selected to collaborate with the FAA and local governments to test a variety of applications. Results will help in the development of new rules and standards for safe drone operations. Examples included delivering medical supplies to rural areas, sending an ice-cream cone to a child, and precision agriculture and infrastructure inspections. Many have claimed the FAA is stifling innovation by establishing too many regulatory hurdles for the advancement of drone applications. But Acting FAA Administrator Dan Elwell now says "We're building a bigger table – not just for traditional aviation stakeholders, but the newest Silicon Valley start-ups," adding that "We're doing away with outdated processes that don't work in today's aviation system. That was how many years a mini-ice age lasted more than three centuries ago, caused by something called the Maunder Minimum, which occurs when solar flares become increasingly rare. The last one seen was from 1645 to about 1715, when it became exceedingly cold, such that London's Thames River froze for one of the few times in history. That possibility is back in the news this week, with the UK's Daily Express writing that scientists are reporting that the sun has been free of sunspots for a total of 133 days this year. With only a bit over 240 days of 2018 passing, that means the sun has been blank for the majority of the year. The cold conditions starting in 1645 dropped temperatures globally by 1.3 degrees Celsius, leading to shorter seasons and ultimately food shortages. And it happened when sunspots were exceedingly rare – just like now. 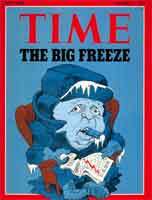 Global warming or global cooling? We say buy some shorts and a winter coat to hedge your bets. That was the blowout level of the US Purchasing Managers Index for August, according to the latest numbers this week from the Institute for Supply Management. That is far above the 50 mark that separates manufacturing expansion from contraction, and is the highest score since May 2004. The New Orders Index was even stronger, at a level of 65.1, an increase of 4.9 percentage points from the July. And all this happening with soaring trade deficits. The overall US trade gap in July wideded at its fastest rate since 2015, and monthly deficits with China and the European Union both hit new records. In the year so far, the U.S.'s overall goods and services deficit is up by $22 billion, or 7%, versus the same period last year. What's more, the politically sensitive goods trade deficit with China surged 10% to an all-time record $36.8 billion in the month, while overall imports also reached levels never seen before.